Flights are to only be bought once you receive an acceptance letter from the YETI team at HFO. Try to keep flights under 500, but contact HFO if that is not possible. All flights will be reimbursed upon arrival to YETI. If a teen (under 18) is coming to YETI from your chapter we ask that someone over 18 travel with them. one staff member from their local HTC, also responsible for teen programming. 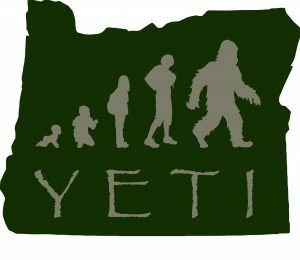 one teen (ages 14 – 20 – not yet 21 years old) to attend the teen program offered through YETI – this will allow the teens to experience an Oregon teen weekend and help the team to develop a stronger local program. It is not required that a teen attend but it is recommended that each location bring a teen leader. The team approach helps to make the implementation of a local teen program much more successful. **It is mandatory that the team is composed of a chapter representative and an HTC representative, it is not mandatory that a teen representative participate from each location. HFO will follow up on all registrations and if the applicants do not meet the team requirements described above, you will potentially jeopardize your participation at YETI. YETI will reimburse airfare or miles, if by car, a maximum of $500, any amount over will not be covered by YETI. Because funding is incredibly tight for the conference this year, YETI is only able to pay for the airfare of the two adult attendees, we ask that the local chapter cover the airfare expenses of the teen participant. YETI will cover all other costs associated with the teen’s participation at the conference (flight scholarship may be available for the teens). YETI will issue checks for reimbursement once the participants arrive at Camp Collins. YETI is not responsible for booking or arranging any travel of the participants to or from the conference. One teen member is welcome to attend from each chapter. The incoming teens will join the teens of Oregon for a fun-filled weekend of adventure. It is preferred that the visiting teen be a prominent leader in the local chapter and be willing to contribute to the design and creation of teen programs in the future. HFO asks that if a teen is attending YETI, the chapter cover their airfare TO and FROM YETI. 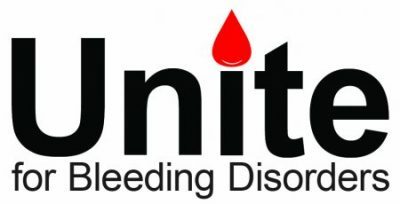 (Flight scholarship may be available- contact yeti@hemophiliaoregon.org) If the visiting teen is under 18, it is required that teen travel with one of the representatives of chapter or HTC attending YETI – in other words, no one under 18 should be flying alone to and from YETI. What is asked on Registration?